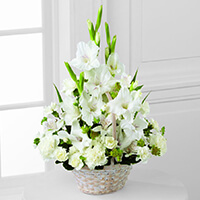 "My sincerest condolences to you, Kathy, and all of your family. Prayers are with you all." At 10:30 a.m. at Our Mother of Mercy Shrine in Rayne for Richard Lee McClelland, 55, who passed away on Thursday, July 26, 2018 at 10:47 a.m. at Acadia General Hospital in Crowley. Father Richard Wagner, SSJ, Our Mother of Mercy Shrine will be officiating for the service. Lee was a lifelong member of Our Mother of Mercy Shrine. “Stagger Lee”, as he was known to use as his CB name, was employed by Sandbuck Industries, Lafayette, La. as a truck driver. His work ethic and commitment was highly regarded. Lee was a humble, easy going person always ready and willing to help others. His knowledge of mechanics was remarkable. He was passionate about music, fishing and excelled at bar-b-queing. 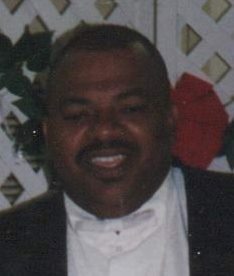 Lee leaves to cherish his memories: his wife, Delia M. McClelland; father, Frederick McClelland; sister, Kathy M. (Patrick) Pickney of Fayetteville, NC; brothers, Anthony (Cassandra) McClelland of Richmond, VA; Adam (Jacqueline) McClelland of Iowa; Wade (Amber) McClelland of Irvine, TX; mother-in-law, Helena Mouton of Rayne; brothers-in-law, Elmer, Leroy and Shelton Mouton all of Rayne; Denver, Oscar, Kenneth (Evelina) Eric (Kathy) Babineaux all of Rayne; sisters-in-law, Linda Strauss of Calif., Wanda Wilson of Rayne, Cathy (Bo) McCloud of TX; serveral aunts, uncles, nieces, nephews, cousins and numerous friends. Lee was preceded in death by his mother, Marie Shirley Carmouche McClelland; brother, Danny McClelland; maternal grandparents, Ida Mouton Carmouche Jones; Robert Caffery Carmouche, Sr.; paternal grandparents, Delia McClelland; Freddie McClelland; several aunts, uncles. The family of Richard Lee McClelland would like to express our deepest appreciation for all expressions of sympathy during our time of bereavement. The love of family and friends will never be forgotten. This love will help the walk that we must continue with grace, faith and our many blessings. Lee will be greatly missed. My sincerest condolences to you, Kathy, and all of your family. Prayers are with you all. Like the breath this Tree will give, May Lee love on in the hearts of all who love and cherish him.